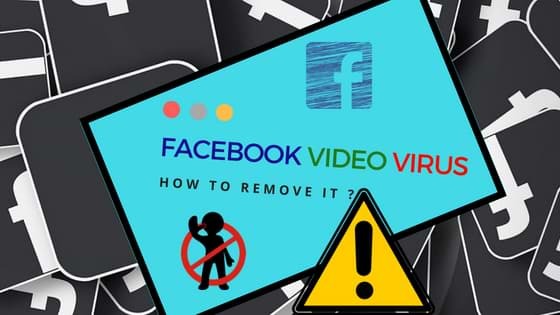 What is Facebook Video Virus? Facebook video virus is another term to describe various scams spreading on Facebook social network. This form of Facebook virus uses to send nasty video link via Messenger that claims to be a YouTube link. Once these links are clicked, this link redirects its victim to a wicked website seeking to infect his or hers computer. Besides, Facebook video virus can compromise user’s account and make it to start sending the same automatic message to his or her friends. This cyber threat is known for a couple of years and has different versions. On April 2018, computer users from Germany and Tunisia report about a new wave of Facebook virus that includes victim’s name, word “special video,” emoji and a link, for instance, “David special video [emoji]” or “David video [link].” This version of virus has been spreading for about 5 years now and attacks users in their own language. The principal goal of this malware is to generate profit for the criminals and increase web traffic by stealing sensitive data, credit card details, infiltrating the system with the malicious digital currency miners or other dangerous cyber threats. According to the experts, many nasty programs are still spreading all across the world and it doesn’t seem that hackers are going to stop. Facebook video virus is related to malware, which keeps a track on victim’s web browser. Though researchers suggest that you need to be careful, and remove suspicious browser extensions from the web browser. In fact, we have discovered that Facebook video malware shuts down the open browser tabs and opens a new window when the victim attempts to open “Extensions” settings. “My private video” virus infects so rapidly because the majority of Facebook users fail to identify these posts and messages as deceptive and malicious content. You should NEVER click on posts or links that your friends send to you if you have even the slightest suspicion that your friend would not share such content on Facebook. Unfortunately, many computer users click on such content EXACTLY because they cannot believe that their friend has shared such post. Unfortunately, clicking on these malicious video links downloads malware into the computer that takes control over the victim’s Facebook account. To escape Facebook video virus infiltration, you should never click on suspicious posts or links sent by your friends. If you get such content raises your suspicion, ask your friend whether he/she shared it by their choice. Another thing you should know is that videos shared on this social network (no matter if they are uploaded directly to the site or if they are shared via YouTube) play after you click on them. If after clicking on a video you are redirected to some suspicious website that asks you to provide permission to access your Facebook timeline or to download an application to your computer, most likely that Facebook post contained a malicious link. You may also install Facebook video virus along with other free programs. We strongly recommend you to avoid downloading software from questionable file sharing websites, because you risk downloading a bundled software. Bundled software are a pack of programs, which includes one main program and several other downloads that can be installed alongside the main program. These optional downloads usually appear to be dangerous applications, so it is advisable to opt them out. You can do that via Advanced/Custom installation settings. Beware from where these messages are coming,make sure these are from trustworthy sources, but in reality Facebook video virus has infected your PC. Always a good idea to have a robust antivirus .We recommend to use the best antivirus of 2018 in India. Always pre-check the source of the email you receive and at all cost avoid spam and misleading messages on social media networks.